Maddalena Fagandini, was one of the more unsung of the pioneering women producers and composers who developed the techniques and sounds of electronic music in the early days of the BBC Radiophonic Workshop. There’s some confusion about the precise dates of her residency in Room 13, the Workshop’s hideaway within the big barn of the Maida Vale studios. This is indicative of the fairly flexible inter-departmental structure of the BBC at the time. Studio Managers in the Workshop were appointed on a short-term basis and came and went at regular intervals. Fagandini was one of the first, but was also called away for other production duties. This was partly due to her bilingual fluency in English and the native Italian of her parents, which made her particularly indispensable during the coverage of the 1960 Olympics in Rome. 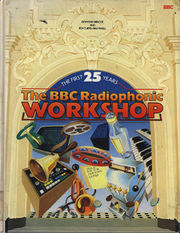 Desmond Briscoe and Roy Curtis-Bramwell’s book The BBC Radiophonic Workshop, published in 1983 to mark its 25th anniversary, records her tenure as spanning the years 1960-63. The recent BBC4 Workshop documentary Alchemists of Sound extends it to 1966 and has it beginning in 1959. 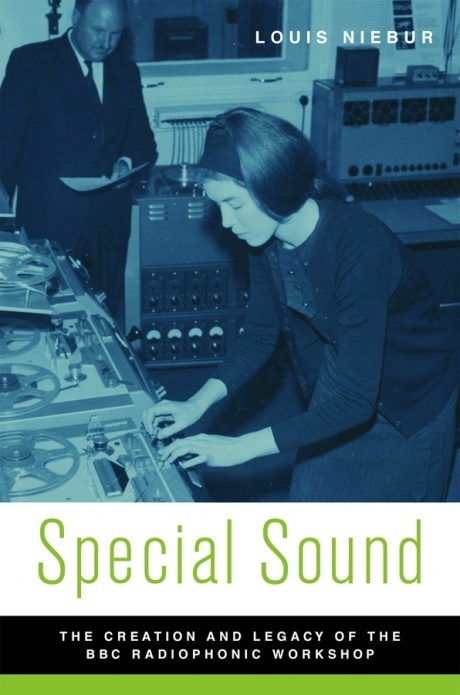 Louis Niebur’s book Special Sound: The Creation and Legacy of the BBC Radiophonic Workshop makes it clear that she worked on the TV programme Outside and the theme for the World Service radio programme Science and Industry in 1959. It seems fair to assume that her most creative period lasted from 1959-1962, the latter year being the last in which examples of her work appears on the 2008 double CD overview BBC Radiophonic Workshop: A Retrospective. This also provides a pleasing sense of continuity with the two most famous of the Workshop’s female composers. Daphne Oram had left in 1959, year after the Workshop opened, having tirelessly campaigned for the formation of an electronic music studio within the BBC along the lines of those operating on the continent; and Delia Derbyshire would join in 1962, becoming one of the most celebrated of the composers in what is often thought of as the Workshop’s tape-tangled and early synthesiser experimenting golden age. Fagandini was working in the formative years, and as Louis Niebur notes in Special Sound, ‘was one of the Workshop’s most prolific and creative early composers’. She was therefore instrumental in developing the distinctive soundworld for which it would become known. Fagandini’s relative obscurity partly stems from the nature of the Workshop’s initial remit. It was intended as a studio to provide sounds for drama and documentaries rather than to create independent pieces of music, as was the case in the state radio studios in France, Germany and Italy. This was one of the major reasons for Daphne Oram’s precipitate departure. She’d envisaged something more along those lines, and felt that such strictures wouldn’t allow her enough leeway to pursue her own compositional path. Fagandini had visited the Italian National Radio’s Studio di Fonologia in Milan, where the likes of Luciano Berio, Bruno Maderna and Luigi Nono created modernist electronic music, and where John Cage put together his Fontana Mix in 1958-9, the period of the Workshop’s launch. She was therefore familiar with the variety and possibilities of modern studio techniques and the uses to which they were being put by ‘serious’ composers. She had worked on the technical side of production at the BBC (having first been employed as a typist) but had a musical background (largely self-taught), which made her ideal for the creative laboratory of the Workshop. Compositions were anonymously attributed to the department rather than the individual, however. It was only with the release of ‘pink’ Radiophonic Workshop LP in 1968, which marked the 10th anniversary of its creation, that some of its composers received their due. Fagandini, who by this time had moved on, wasn’t one of them however (the album showcased the work of Delia Derbyshire, John Baker and David Cain). It wasn’t until the Radiophonic 21 LP, released in 1979 (marking 21 years of the Workshop), that a small selection of her pieces became generally available. Those tracks were all included on the 2008 Retrospective CD. Because much of her work was carefully integrated and ingrained into the programmes for which it was created, programmes which are not repeated (or in some cases have been wiped), its impact and importance has faded with time. But what remains indicates how much her compositions fed into later developments. She worked on the 1959 drama Outside with Desmond Briscoe, who would go on to become the head of the department, which was the first TV programme to use the Workshop. The extract on the Retrospective collection begins with the rattling of keys and opening of a clanking metallic door familiar from the beginning of Porridge, and then goes on to represent the bewilderment of a released prisoner venturing out into the world once more through a sonic manipulation and estrangement of everyday sounds, ending with the resonant clang of a gong, which sounds like some dazing (or perhaps clarifying) mental blow. It’s a fine example of the way in which electronic music can embody subjective states and interior landscapes. She also worked with Phil Young on the signature tune for the World Service programme Science and Industry (for which she is not credited on either the Radiophonic 21 or Retrospective releases). This strikes an interesting balance between and musique concrete and purely electronic sounds. The percussive metallic hammering seems to point to a past of heavy industrial labour, whilst the electronic element points to a rapidly approaching future in which the machines will take over. The proto-sequencer pulsations also demonstrate the strong rhythmic component of Fagandini’s music. This came through particularly clearly in her interval music. These were composed for the intervals which still existed between programmes at the time, small self-contained pieces of the music which were designed to engage the viewer whilst they waited. They often incorporated an element of marking the passing moments, expressing the passage of time, which was also evident from the clock on the screen, in a mesmeric fashion. Fagandini’s Interval Signal, included on the Radiophonic 21 and Retrospective collections, was designed to be congruent with the sweep of the screen clock’s arm which eliminated the second dots one by one. It’s constructed from simple woodblock clops given a little added echo, which sound like the steady splashes of fat drops of water. With its gradual additive accumulation of layers (followed by a retrograde stripping away), looping repetitions and rippling phasing effects, it resembles the early minimalist music of Steve Reich (the first section of Drumming), Philip Glass or Terry Riley. There’s something inherently organic about its regular patterns, the building up and slow release of musical mass like the drawing in and letting out of breath. It also sounds a little like the mechanistic pattering of The Playful Drummer, one of the pieces on Raymond Scott’s Soothing Sounds For Baby records, which would be released in 1964, electronic music designed to engage or tranquillise toddlers. The other interval signal piece included on the Retrospective is Time Beat, which has a similarly elastic rhythm, more skittering this time and lightened by buoyant reverb. A low key underlying drone provides a sense of unchanging continuity beneath the changeable surface, the constant hum of blood, nerves and synapses. As Louis Niebur points out in Special Sound, this started off in October 1960 as Music for Party Political Conferences, and incongruously jaunty attempt to make people believe that watching TV coverage of the ritualistic annual seaside gatherings would be exciting and fun. It then progressed to a more appropriate use as an interval signal. It was in this context that it caught the ear of George Martin, who heard in it potential for a novelty beat record along the lines of a Joe Meek production. 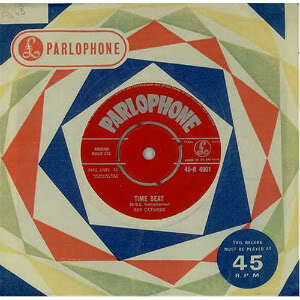 He got a music publisher to sort out the rights, came up with an accompanying arrangement to flesh it out and make it more palatable to a pop audience, and released it in 1961 as a single on Parlophone Records, which was given the title Time Beat. 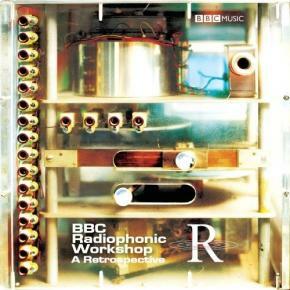 The Workshop’s policy of maintaining corporate anonymity led to a pseudonymous credit, and the overall attribution to ‘BBC Radiophonics’. For the composer, Martin came up with the name Ray Cathode, clearly wanting to highlight the electronic music aspect of the record. He recognised the interest such novel sounds had amongst the public, an interest fuelled in no small part by Fagandini and the Radiophonic Workshop. Of course, he would later play around with studio tape effects in a pop context with The Beatles on Revolver and Sergeant Pepper, and Paul McCartney in particular would take a keen interest in developments in electronic music and the goings on at the Workshop. Fagandini also came up with a ragged, offbeat melody with rough-edged sawtooth wave sounds for the b-side, Waltz in Orbit, with Martin laying some jazzy Brubeck-like block chords behind (It’s A Raggy Waltz – In Space). It offered a light-hearted sketch of a slightly battered and clunky satellite propelled in a spinning dance around the earth, a more jerry-built Sputnik. Although it was hardly a hit, it was reviewed on Juke Box Jury, so Fagandini did produce an authentic pop single, albeit inadvertently. The BBC documentary Alchemists of Sound makes play with the mystery of the anonymous composer, and Fagandini sportingly joined in, stating ‘I am not Ray Cathode’. But she was. Further electronic sounds were produced for the BBC stand at the 1962 Ideal Home Exhibition in a piece which hovers around half-expressed nursery melodies in a distracted, dreamy manner. 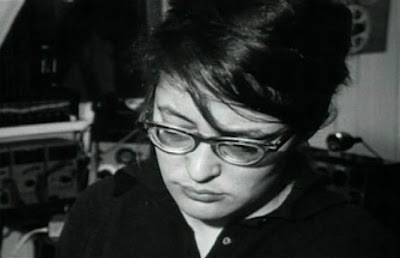 The manipulation of the xylophone notes on tape to create a spacious sound and springy rhythm anticipates the work of John Baker, whilst the tinkling bell sounds at the end (title Ideal Home Exhibition on the 21 and Retrospective collections) look forward to the more playful side of Delia Derbyshire’s music. The 1962 piece The Chem Lab Mystery, composed for the closing titles of a TV serial, is pure electronic music, appropriately enough. It’s burbling oscillator sounds are suggestive of reactive processes in arrays of test tubes and flasks, whilst glittering descending glissandi produce that otherworldly sound that only electronic music can, inducing cool ‘thrill of science’ shivers. In 1961, she created the music and sound design for an adaptation of Jean Cocteau’s modern recasting of the Orpheus and Eurydice story to fit his own mythology of self, Orphée, which was produced as a play in 1926 and then turned into a film in 1950. In an ironic bit of synchronicity, she was wholly dispensing with George Auric’s original score for the film whilst Daphne Oram was working with him to produce the haunting electronic atmospheres for The Innocents. Fagandini drew on Greek scales for her music, mixing short harp figures with pure, singing sinewave tones, and for the Princess (Death) tape-reversed piano notes, reflecting her origins from the benighted world beyond the mirror. The scenes in which Orphée tunes into the poetic signals from the other side on his radio are accompanied by plucked notes which are lent the hazily blurred shimmer of dreams through tape fiddling. The violent chorus of the shrieking furies who tear Orphée apart in a Bacchanalian frenzy is edited and layered together into a frighteningly intense sound collage which calls to mind Berio’s work with Cathy Berberian in Milan. Unfortunately, only short extracts of the drama are available to hear (via the examples included with the Special Sound book), the rest buried somewhere deep in the darkness of the BBC vaults of doom. In Desmond Briscoe and Roy Curtis-Bramwell’s history of the Radiophonic Workshop, Fagandini also mentions having enjoyed working on a drama called Rhinoceros, for which she created the sounds of the lumbering beasts from scratch. She talks of the unnerving time she had conjuring up sounds for a series of real life ghost stories for the series Things Which Go Bump In The Night in the early hours in the deserted, shadowy and eerily silent Maida Vale Studios. She also provided the sound design for a 1960 production of Czech playwright Karel Capek’s beast fable Insect Play, an ideal subject for radiophonic treatment. 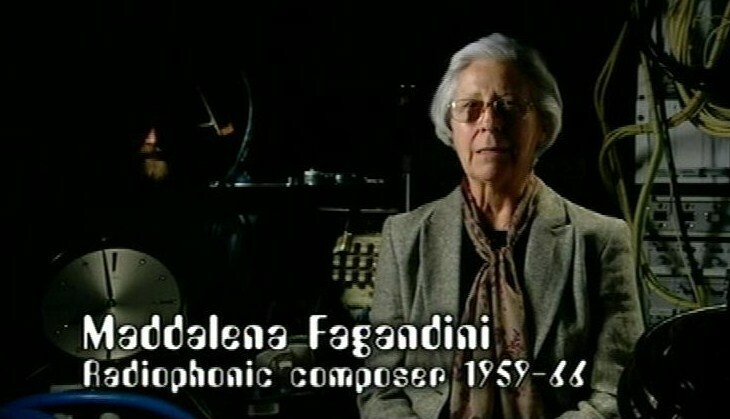 Fagandini’s time at the Radiophonic Workshop was an interlude in her career, and she didn’t pursue her music after she left in the early 60s. This is a shame, and another reason whey she remains a relatively obscure figure. But she went on to other fruitful and very useful pursuits as a producer in radio and TV, involving herself wholeheartedly in projects which were equally creative in their own way. She made many programmes offering an accessible and intuitive way to learn foreign languages, bringing together various different media (TV, books, cassettes and latterly CDs) and doing her not inconsiderable bit to make Britain a bit more linguistically (and by extension culturally) cosmopolitan. She also produced the landmark TV history of the blues, The Devil’s Music. Evidence of her contributions to the history and development of electronic music in Britain through her formative work with the Radiophonic Workshop may be a bit thing on the ground, but her role was nevertheless a vital one.